The Lion King is rated 4.6 out of 5 by 22. Rated 5 out of 5 by theandi35 from Magical and enchanting A birthday treat for me and my husband. He is a big strong butch guy but found himself reduced to tears by this production! Amazing singing and spectacular costumes. You will not be disappointed. A treat for all the family. I could watch it over and over. 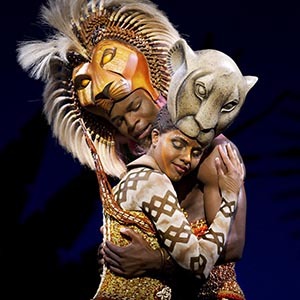 Rated 5 out of 5 by Jane Lin from Great musical I went to the musical of the Lion king with my boyfriend. It is amazing even though my seat is located on the third floor. Rated 5 out of 5 by dont have one from Fantastic, Would recommend to anyone, if you get the chance then go and watch. Rated 5 out of 5 by Sunshine from An amazing Show! Been trying to see this for years! Even in New York. Loved it! Rated 5 out of 5 by Leo The Lion from The highlight of our trip to London. 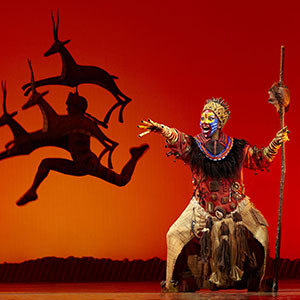 My daughter and I saw The Lion King during a three day stay in London. The show was spectacular and certainly lived up to all the high recommendations that had prompted us to go . 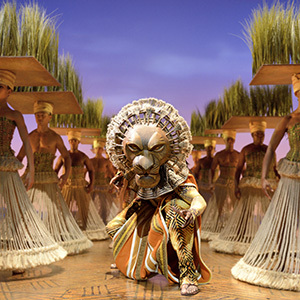 The costumes and stage design were fantastic and done with such skill and imagination. A thoroughly captivating performance which showcases some of the excellent talent in this country! Rated 3 out of 5 by Princess123 from Family time. I went to this event as a family treat with my husband and two children. Rated 5 out of 5 by Sunny from Best musical in my life I went to this event few month ago. That was so amazing and unforgettable. The Lion King was so touching and affecting me a lot. Rated 5 out of 5 by Jules63 from One of my favourite shows. I went to see this with my son and it was wonderful. So colourful and livelywith beautiful costumes and amazing puppets. The cast are brilliant, especially the children. It has the added bonus of the original songs from the movie too.